Who gets the CMMI rating - The company or the project? This may be a simplistic question, but still one that I would like to clarify. Is the CMMI Level achieved based upon “the company” achieving that rating or the contract or project that company manages that achieves this CMMI rating? I was always under the impression that the company receives this rating or is awarded the Level of rating. There is no simplistic questions when it comes to CMMI! Some people call this necessary, some call it job security! When we begin working with a client (usually 6-12 months prior to their target appraisal date) we negotiate an "Organizational Unit" to be appraised. This MAY be the entire company (typical with smaller companies) but it also could be a division, a business sector, a particular product line, or a location (among other things). The key here is that the Lead Appraiser (who is external) and the sponsor (executive) agree that it is a credible sample. The Lead Appraiser is likely to be careful about what he agrees to because the organizational unit is scrutinized by the SEI for credibility. What social media sites have CMMI information? We love your blog but where else can we get information from you? Not everyone can get access to www.asktheCMMIAppraiser.com from inside our firewall. Oh boy! I love that kind of question. We are ALL OVER the social media. And on every media outlet we provide a wealth of FREE CMMI and process improvement information - so take your pick! You can trade "tweets" with us on Twitter by following "CMMIAppraiser"
Check out the Broadsword site for more information about CMMI training, webinars, and appraisals. Where can I learn what REALLY happens during a CMMI SCAMPI Appraisal? I've heard a lot of stories of crazy stuff happening on appraisals. What really happens? Well, I would write an entire post on this subject, but it would better if you just came to our next FREE webinar in July! This hour-long webinar takes you inside a SCAMPI Appraisal where you will learn things that previously were only known to Lead Appraisers and Appraisal Team Members. With SCAMPI v1.3 there are new sampling rules along with new rules of evidence. If you are considering an appraisal you owe it to yourself to attend this webinar and learn how the Lead Appraiser and Appraisal Team Members will be evaluating your organization. 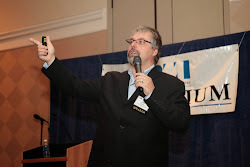 Our guest speaker is is Jeff Dalton, a Certified SCAMPI Lead Appraiser, Certified CMMI Instructor, Candidate SCAMPI Appraiser Observer, author, and consultant with years of real-world experience with the CMMI in all types of organizations. Jeff has taught the formal "Introduction to CMMI" three-day class to well over 1000 students and has conducted dozens of appraisals. I hear that we don't have to provide Indirect evidence for appraisals anymore. Is this true? I just heard that with the new version of SCAMPI v1.3 that we no longer have to provide "indirect evidence" for appraisals. Whew! This is going to make achieving a Level so much easier! Only the direct evidence in required now, right? Whooo hoooo! No more Indirects! How cool is that? It is true that the new version of SCAMPI (v1.3) eliminates the concept of "Indirect evidence." But it ALSO eliminates the concept of "Direct evidence!" Boy, this is going to make achieving a maturity level really easy! The elimination of the words "Direct" and "Indirect" do not mean we can eliminate the concepts of artifacts and affirmations being used to demonstrate process performance. The new rules tell us that the appraisal team must review "appropriate artifacts" as evidence to determine (in concert with affirmations) the level of process performance for each project. And we all know that just providing the formally-known-as-Direct evidence just doesn't cut it! For instance, if your project provides an "estimating worksheet" as evidence that an estimate was performed, it doesn't tell the appraisal team HOW the estimate was performed, it only tells us THAT it was performed. Since the CMMI is all about behavior, and not about documents, we might need that formally-known-as-Indirect evidence to tell the story. Instead of asking you to go through a tedious inventory of documents ("is this a direct or an indirect?") we now leave it up to the appraisal team (and SCAMPI Lead Appraiser) to determine if what is being presented tells the full story. So, bottom line, not much has changed. The inventory exercise is streamlined, but the requirement to produce artifacts that meet the basic definition of "Indirect" and "Direct" still exists. Don't miss my free June Webinar: CMMI - All you need to know! CMMI Version 1.3 is here! This two hour webinar provides with everything you need to know to get started with with the Capability Maturity Model Integration (CMMI). It will provide systems engineers, software developers, project managers, and process professionals with a basic understanding of how to use the CMMI, a model that is the defacto standard and leading framework for software process improvement.